The Supercar seized by police in a drug raid is believed to be a Briggs Motorsport-built chassis which began life as a BA Falcon in 2003. 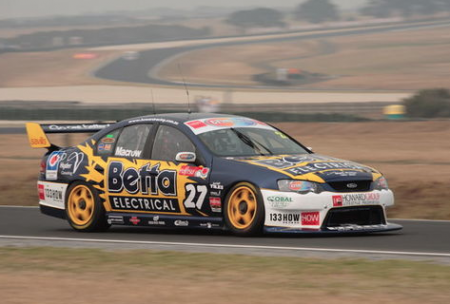 The car, which is now adorned in an approximation of a 2006 Team Betta Electrical livery, would likely have come into the possession of Triple Eight Race Engineering when it bought out Briggs in mid-2003. It is believed to be chassis JBMS005 (John Briggs Motor Sport) and, along with another BA, was bought by Howard Racing for Mark Howard and Adam Macrow to race in the Super2 Series (then known as the V8 Supercars Development Series) in 2005. 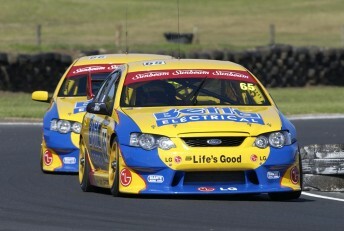 At that time and in 2006, the cars carried a very similar livery to the Triple Eight Falcons of the day, including Betta Electrical branding but with white front and rear bars instead of grey to suit a minor sponsor. Macrow won the series in 2006 in what is believed to be the sister car, and they were also raced out of Howard Racing in the second tier in 2007. Privateer Aaron McGill then purchased the car in question, which Howard himself had raced, and ran it from late 2008 until the end of 2012 in Super2. Its highlight in that period was the seventh position which McGill scored in the final race of the 2011 season when he came from the back end of the field on slick tyres on a drying track. 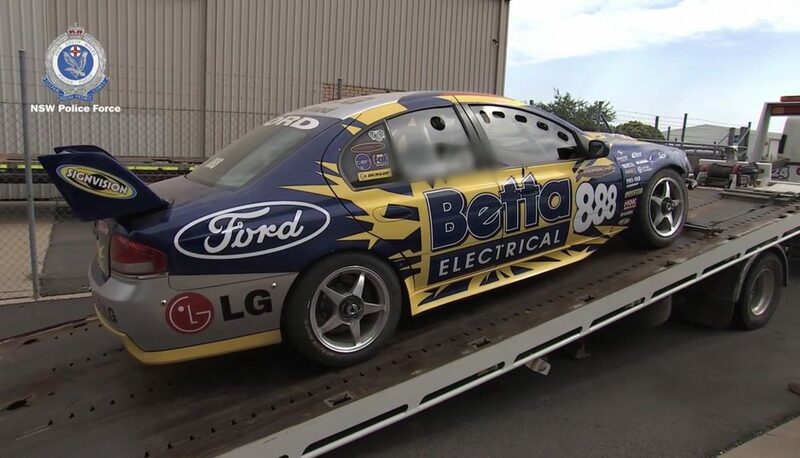 The car is believed to have undergone some form of restoration at a Dubbo smash repairs business between then and April 2015, including a return to the splashy Betta Electrical livery that it wore over a decade ago, albeit with grey bars for LG branding. A distinguishing feature of the car is the lighter grey colouring of the chassis internals and cage work, as opposed to Triple Eight’s standard dark grey, having been resprayed while owned by McGill. There are no known records of the car having raced since 2012 and, despite its appearance, certainly would not have been raced by Craig Lowndes if its identity is indeed JBMS005. Indeed, it would not have raced as a Triple Eight entry beyond 2003 given that the Queensland-based squad introduced new cars for its first full season in what was then the V8 Supercars Championship. Natsoft timing data shows, however, that it has been driven at Wakefield Park during at least one track day, in August last year. New South Wales Police seized the car in Dubbo on Monday as part of Strike Force Bato, which saw raids in the central northern NSW town and also the Hunter Valley around Newcastle. Eight people were arrested in the raids while police also seized approximately $900,000 worth of cannabis (street value), $140,000 in cash, and a host of other motor vehicles, according to the Newcastle Herald.